Scraps on a Mission | Arrrgh!!! Scraps on a Mission, the tiny group started by my friend, Mary Rinn, a year and a half ago, has exceeded our fondest dreams. Unfortunately, Mary passed away at Christmas last year, but five of us have continued in her memory. We have created 53 quilts since February. They range from 40 inch squares for babies or for the laps of those in wheelchairs, to a 60 inch square for a family in a shelter. We are donating to a pediatrics ward in our local hospital, to a nursing and rehab center in town, and to a group called Facing Forward. 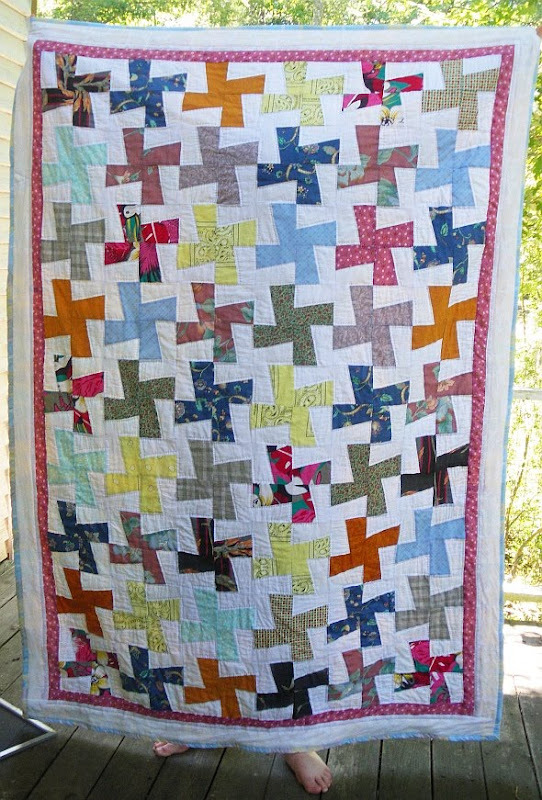 This Sunday our quilts will be blessed as a part of the church services. I’m pleased that the congregation will have a chance to see what we’ve accomplished before the quilts are given away. The ladies who have been sewing deserve recognition for all they’ve done in the past seven months. Congratulations, ladies! You’ve done well!